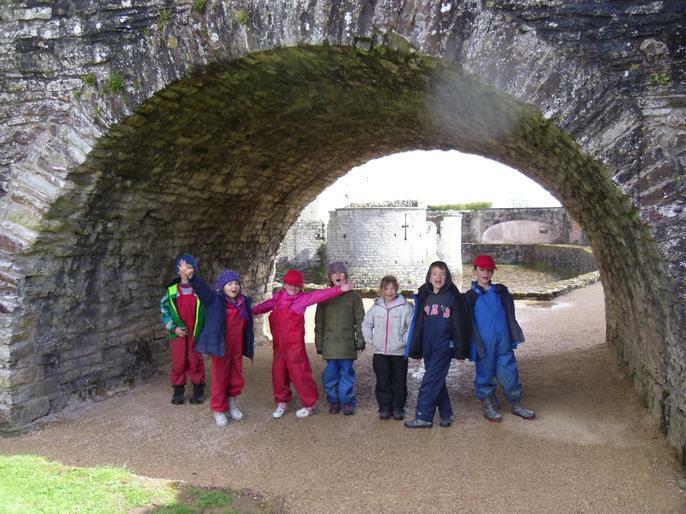 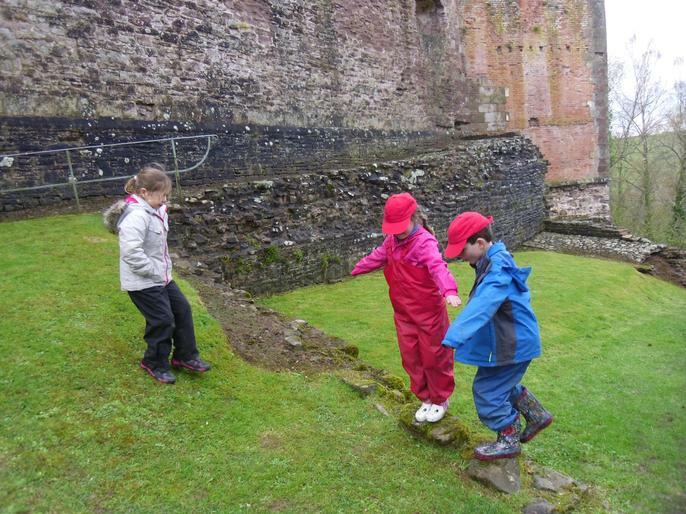 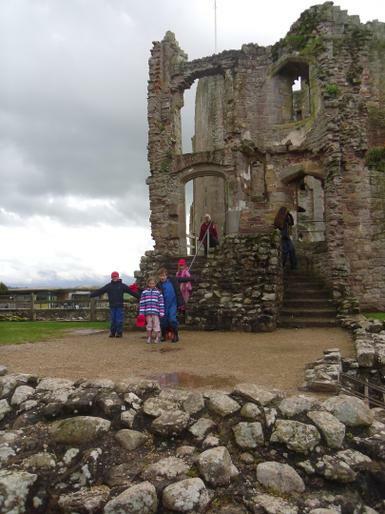 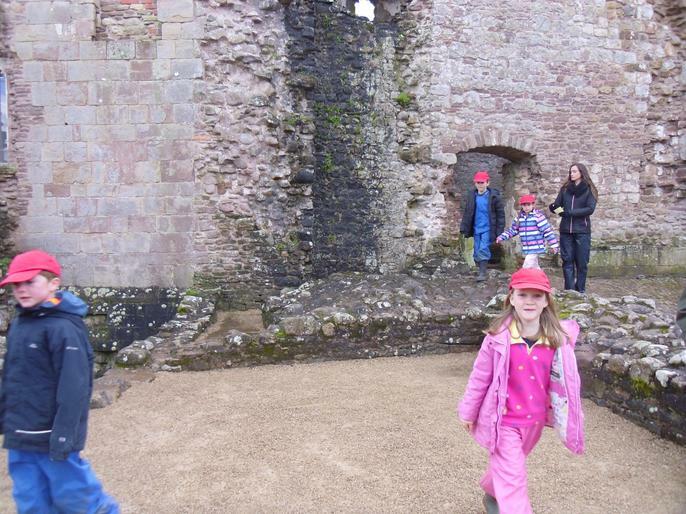 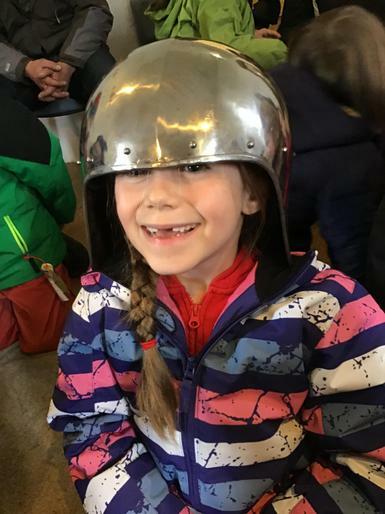 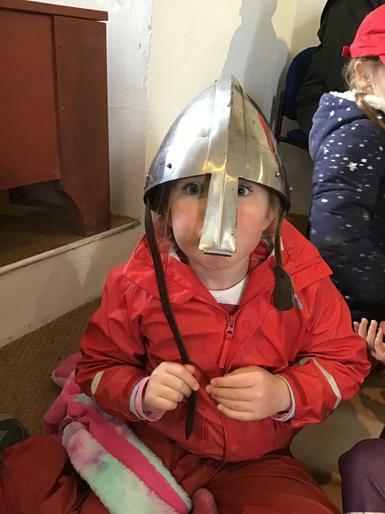 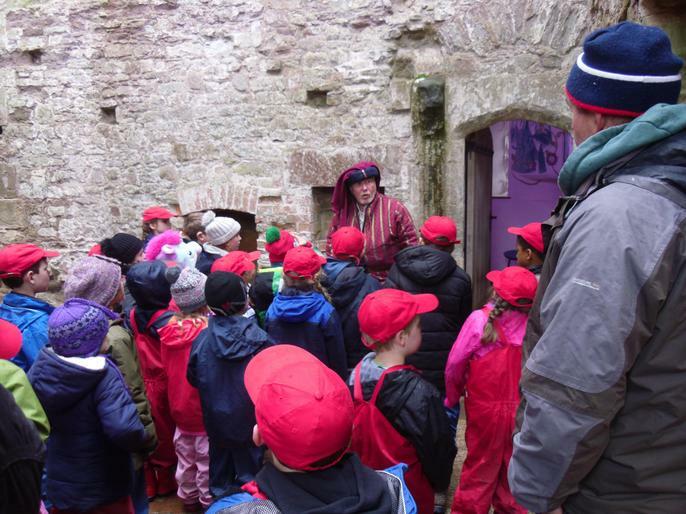 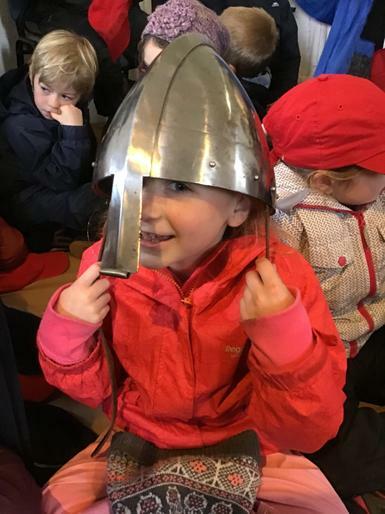 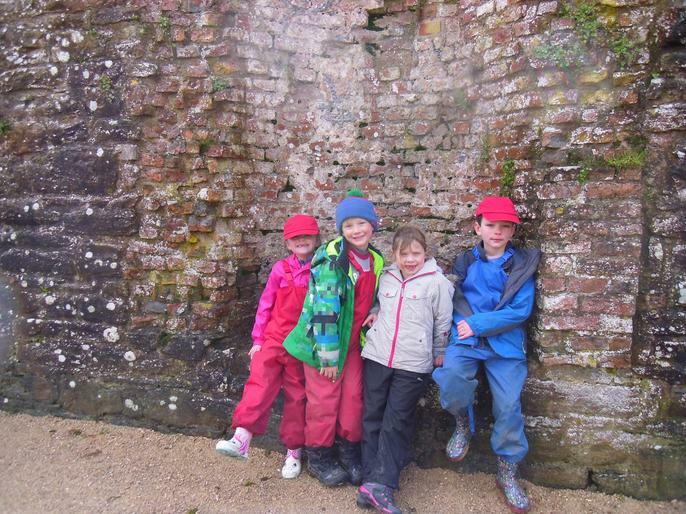 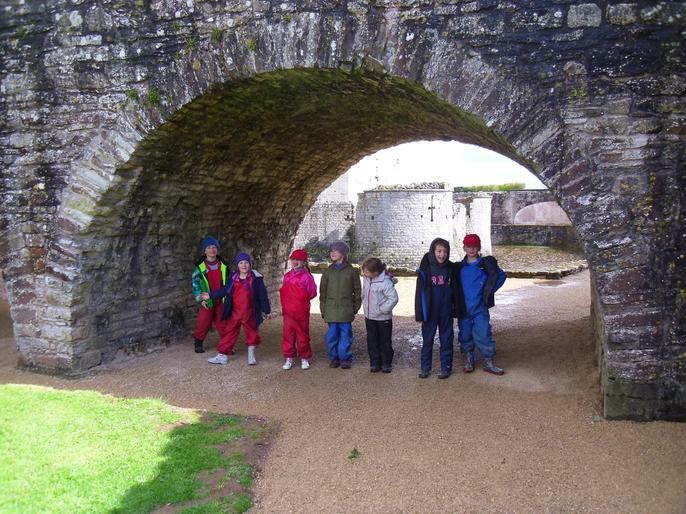 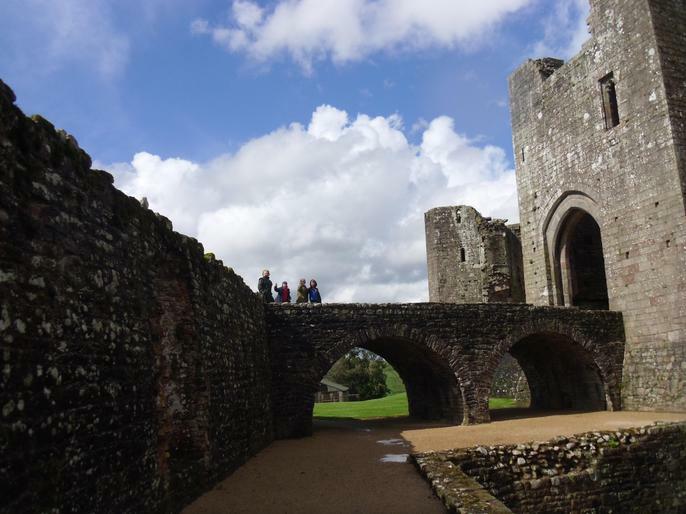 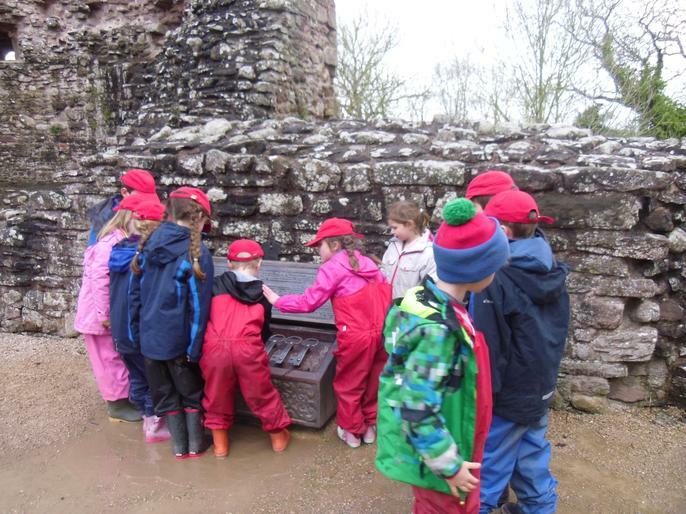 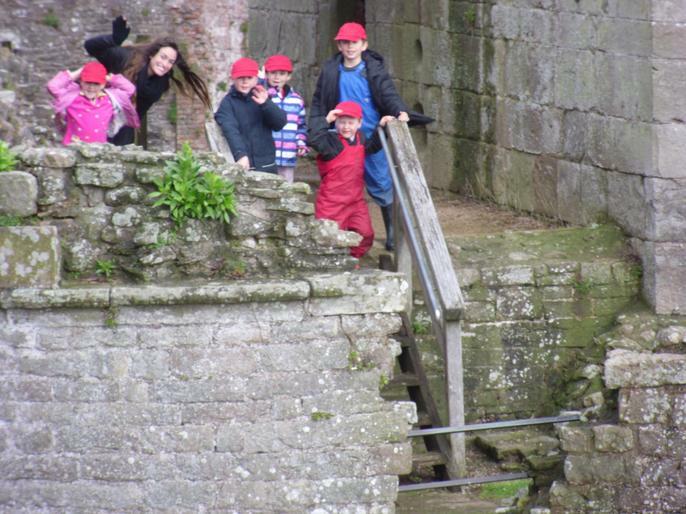 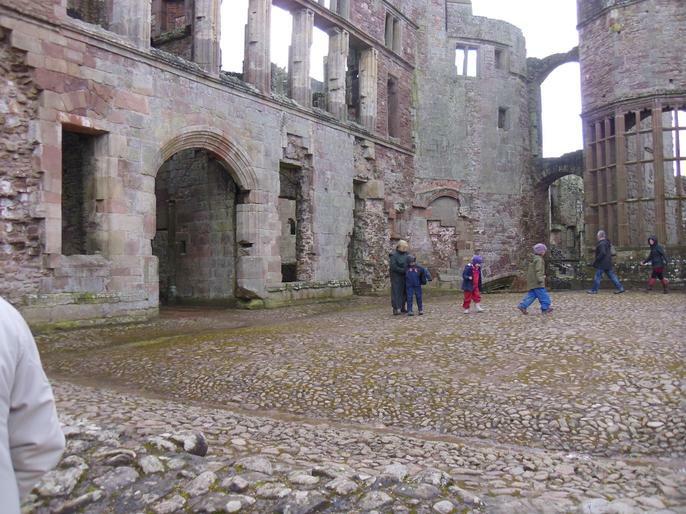 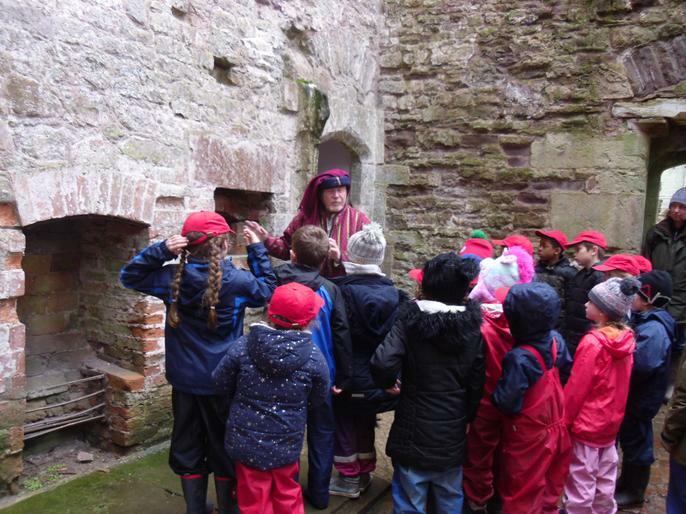 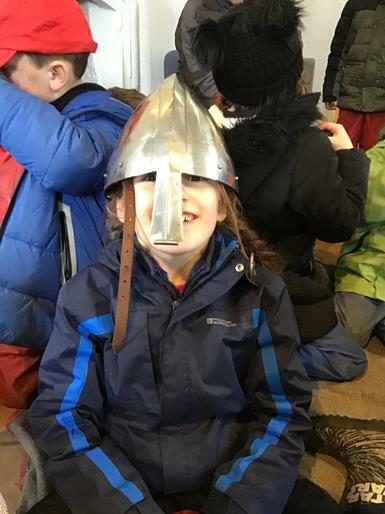 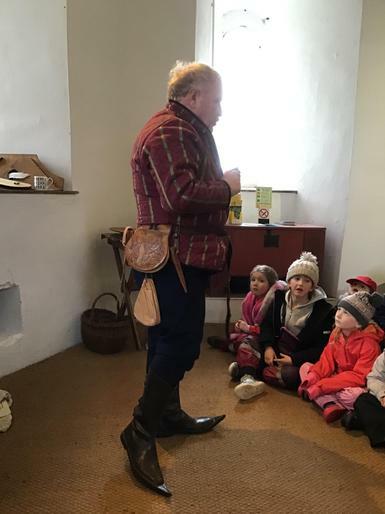 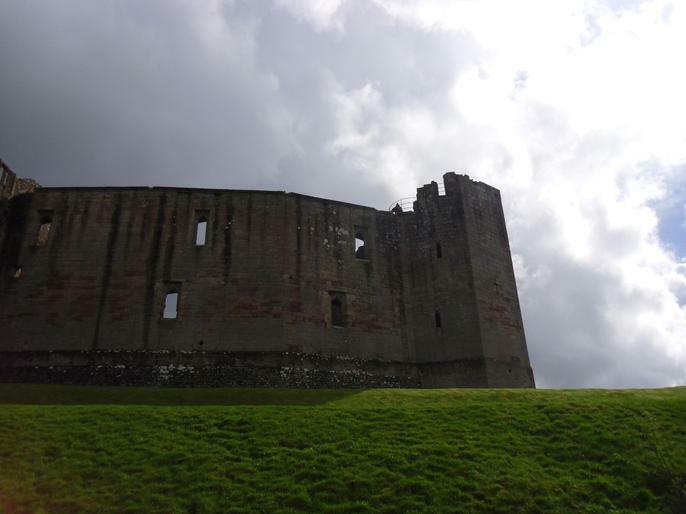 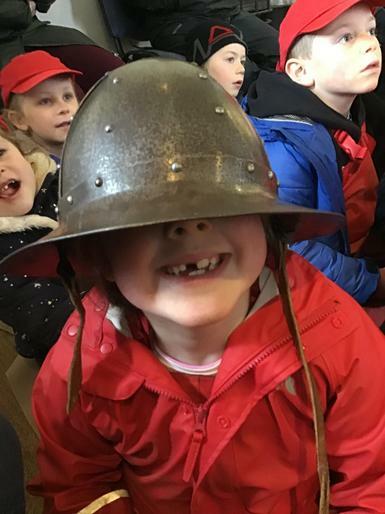 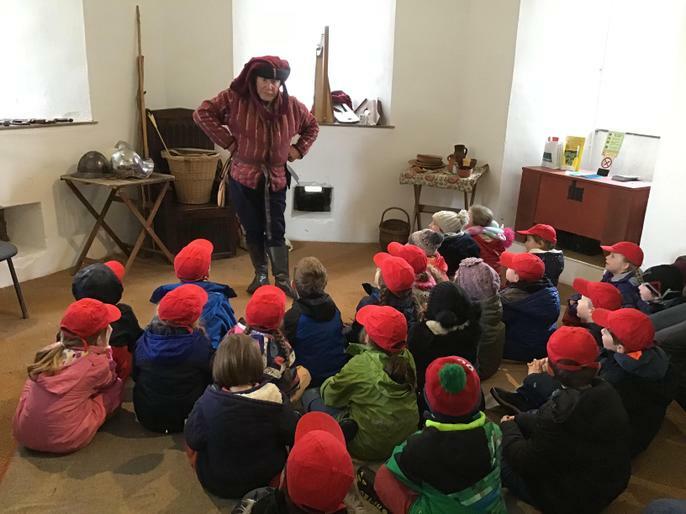 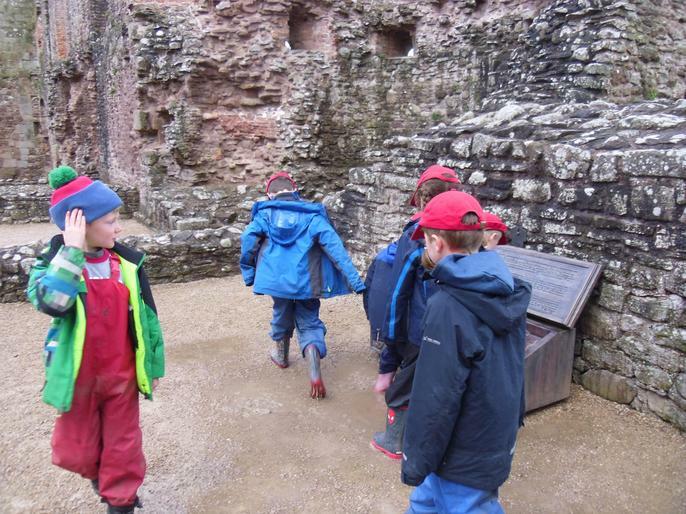 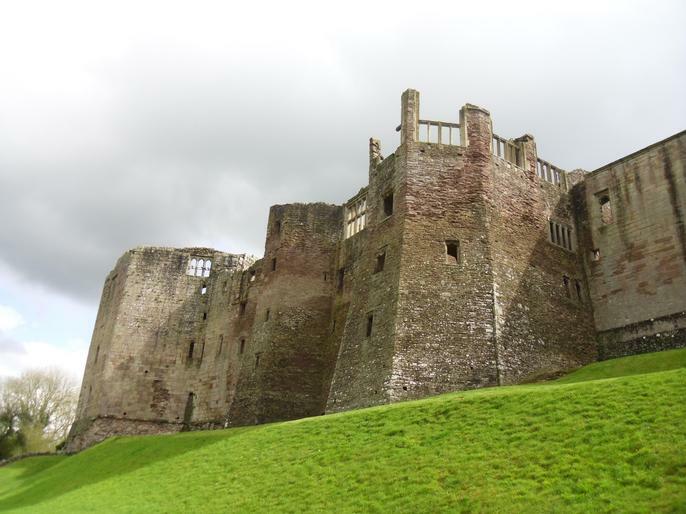 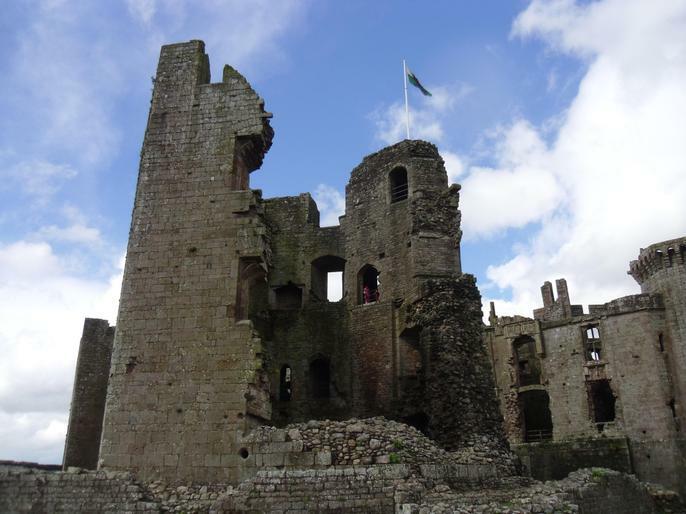 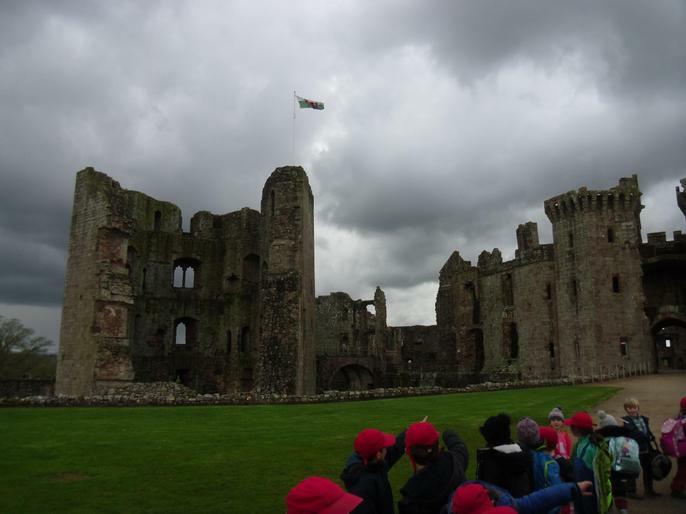 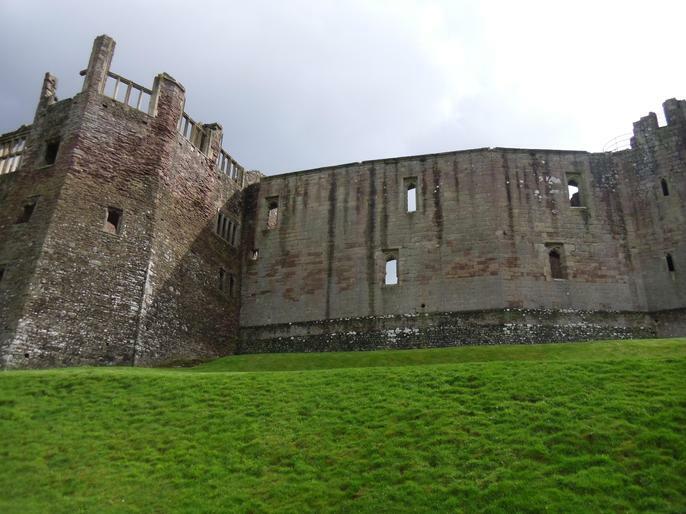 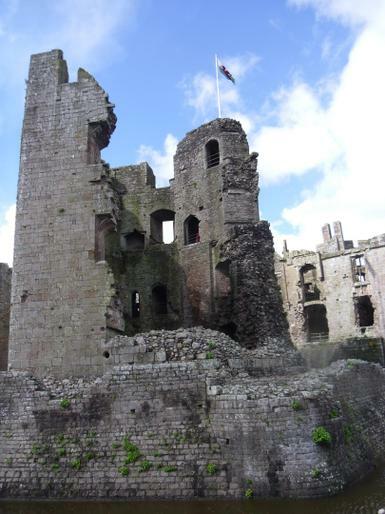 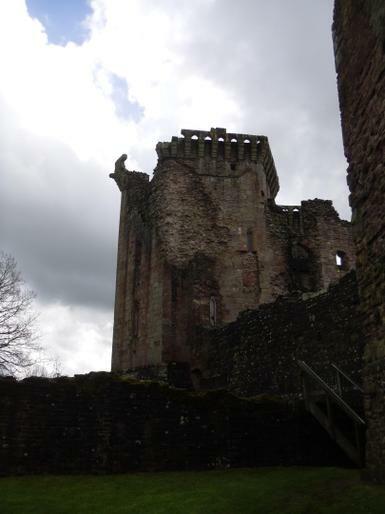 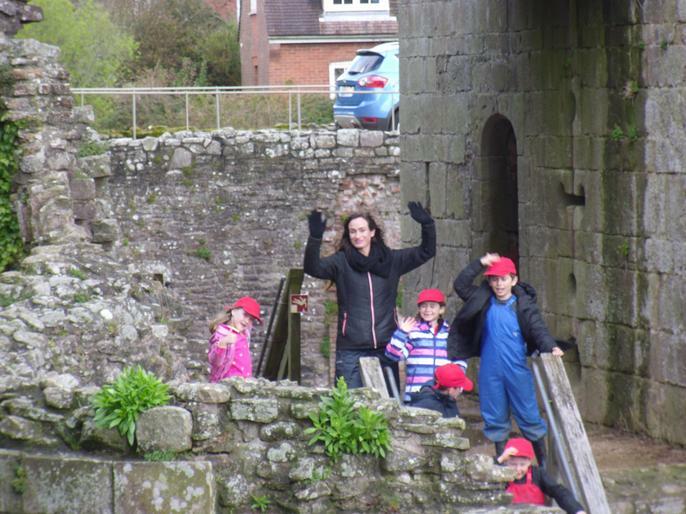 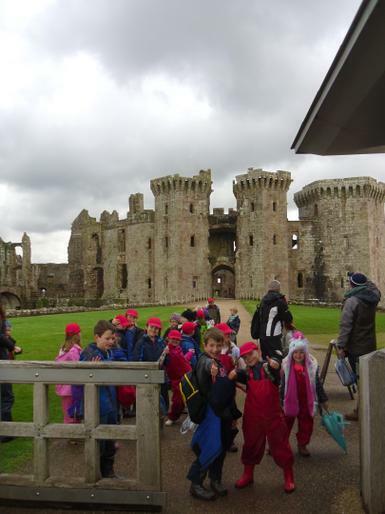 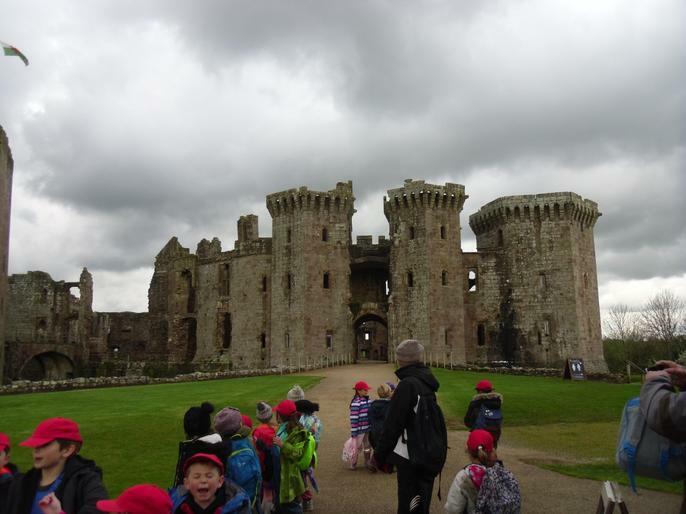 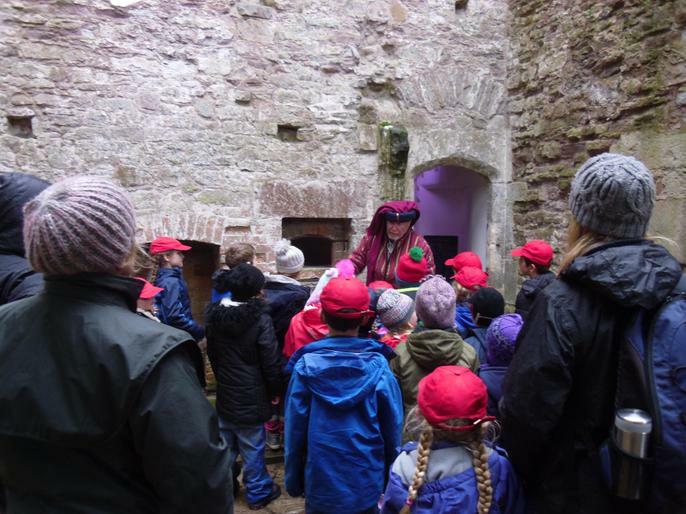 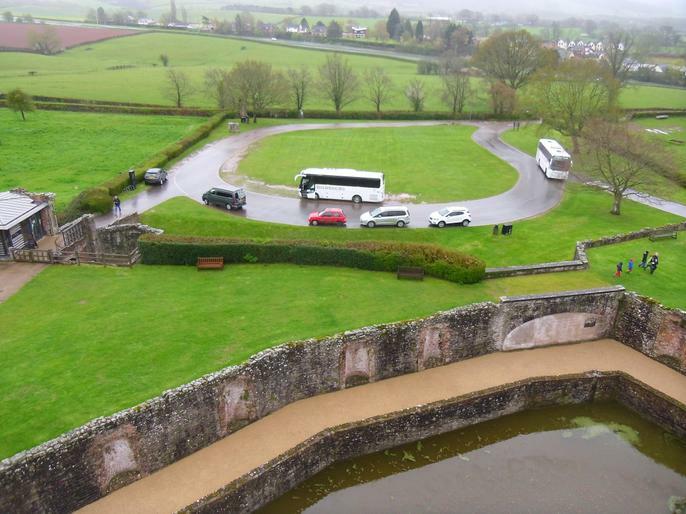 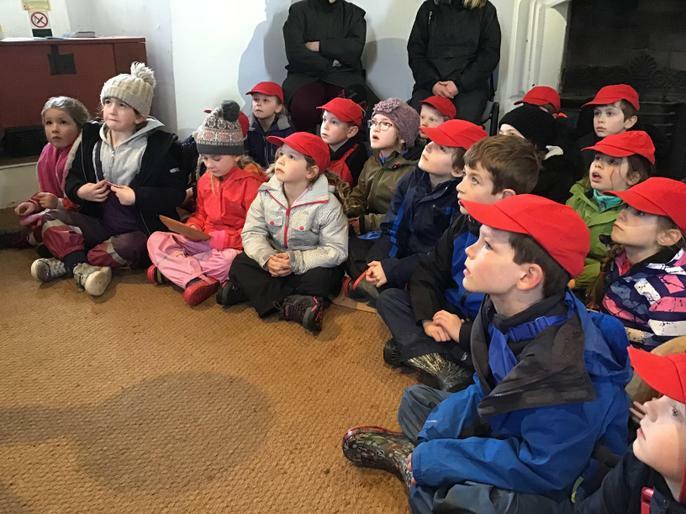 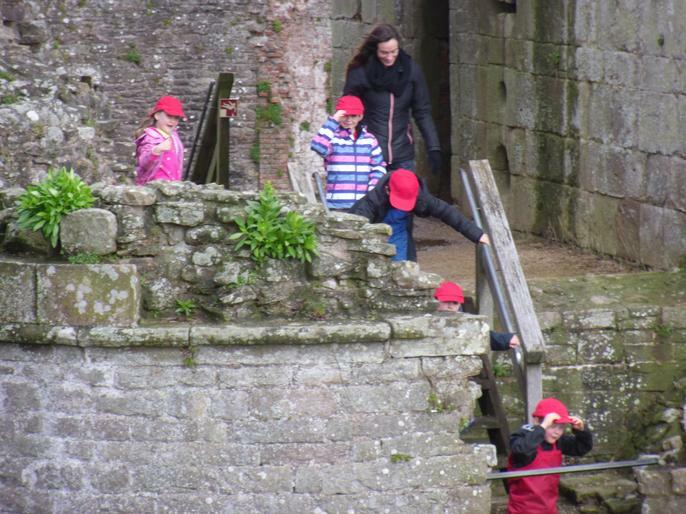 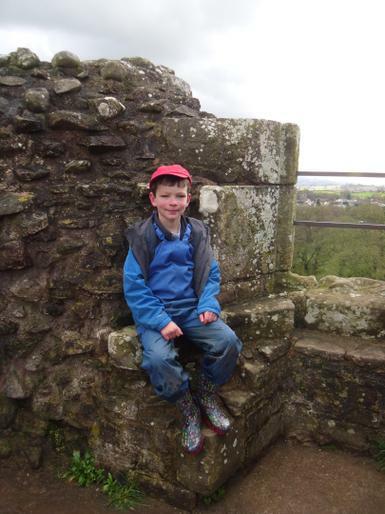 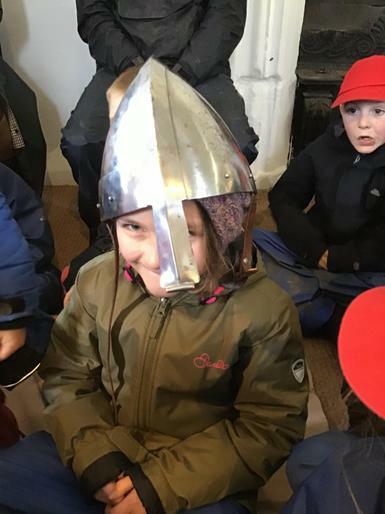 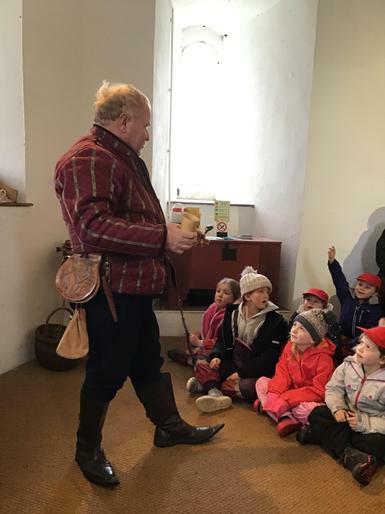 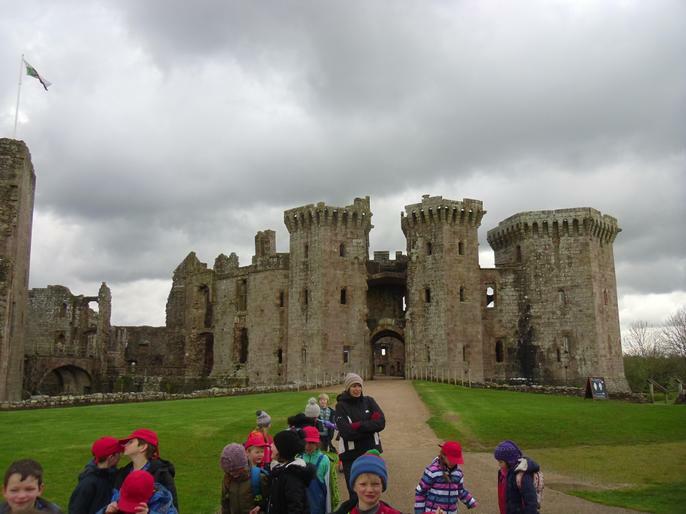 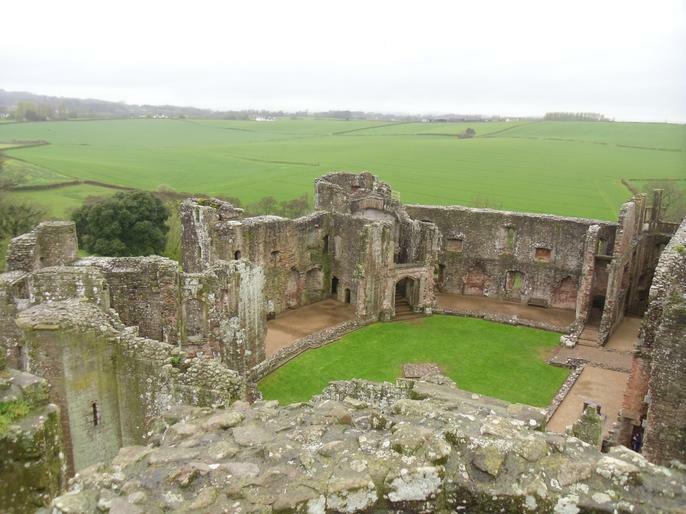 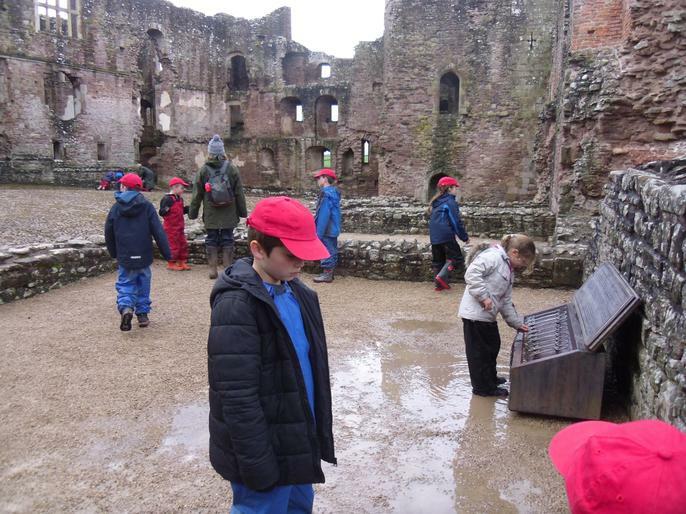 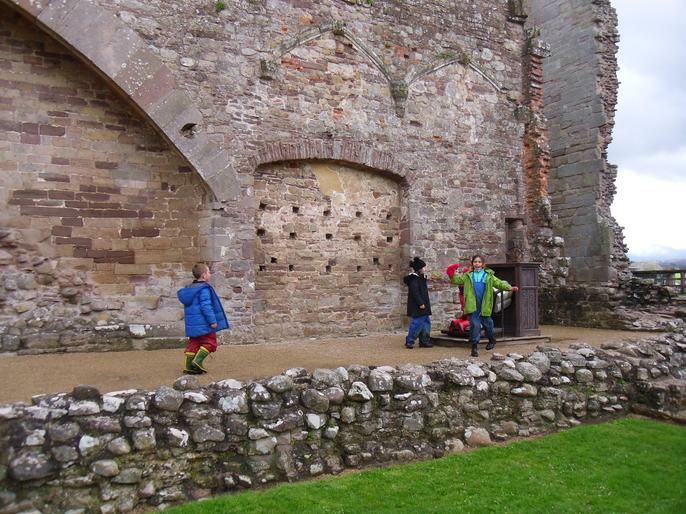 Kempley class had a marvellous visit to Raglan Castle. 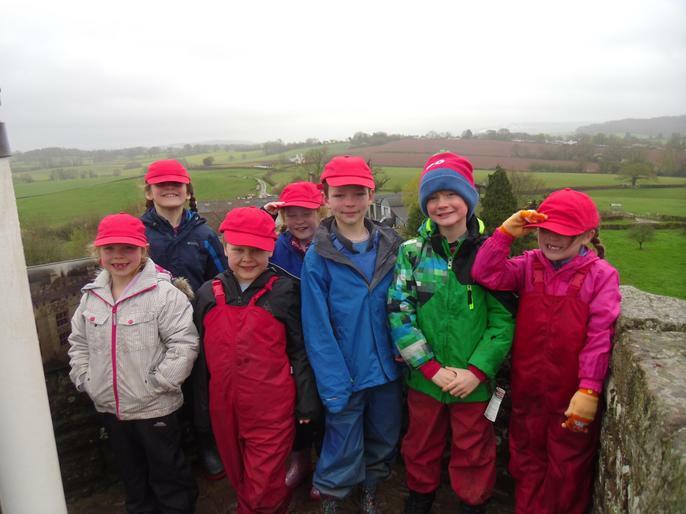 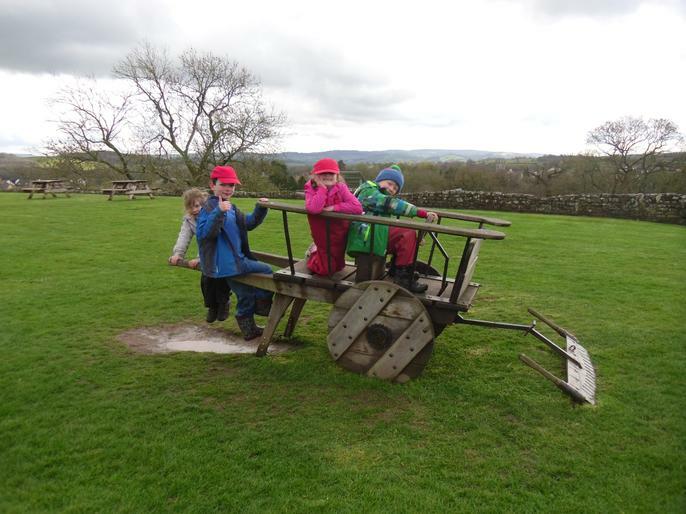 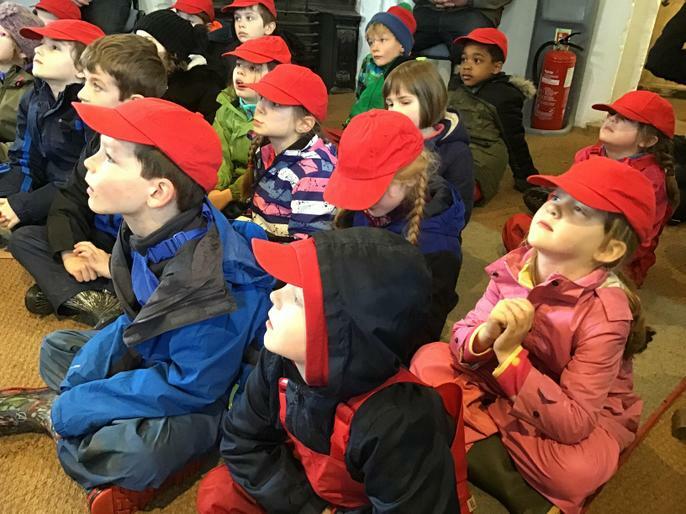 Although the weather was a little damp and sleety at times, we did not let this dampen our spirits. 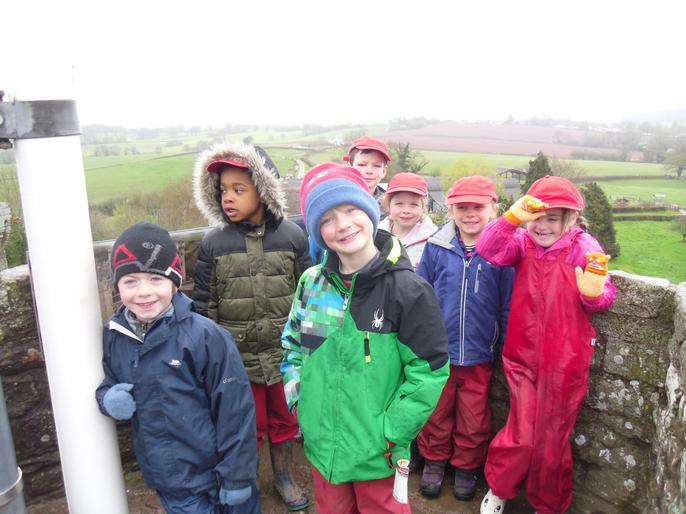 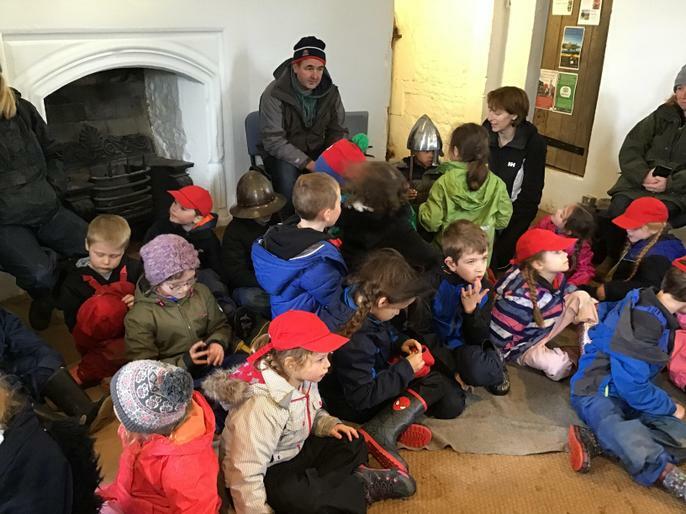 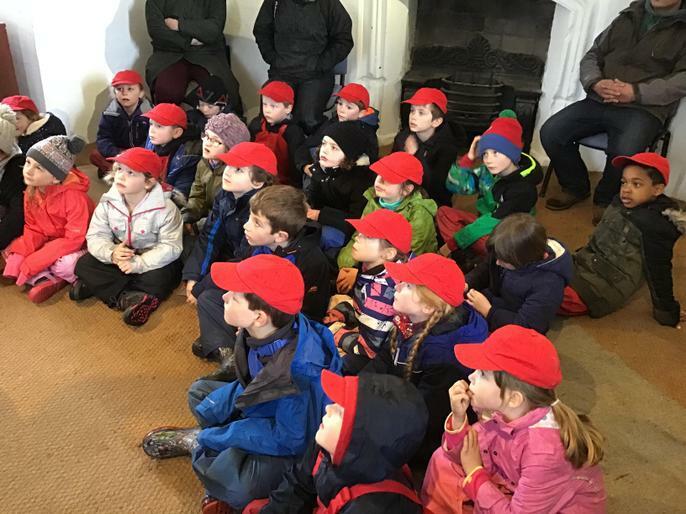 When we arrived, we explored the castle and were thrilled to discover lots of gargoyles, similar to the ones we created from clay a few weeks ago. 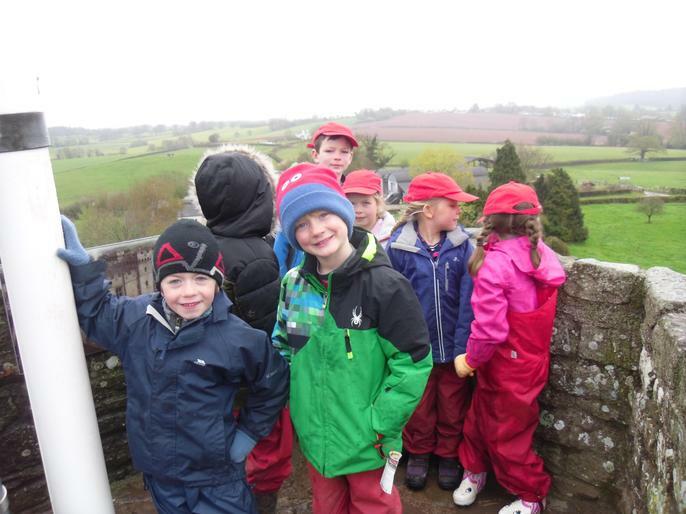 We were able to climb up to the top of the tallest tower which was an excellent workout for some of the adults! 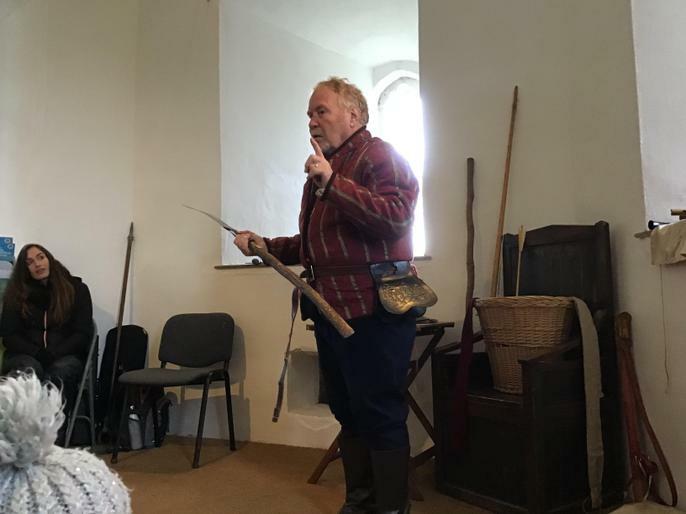 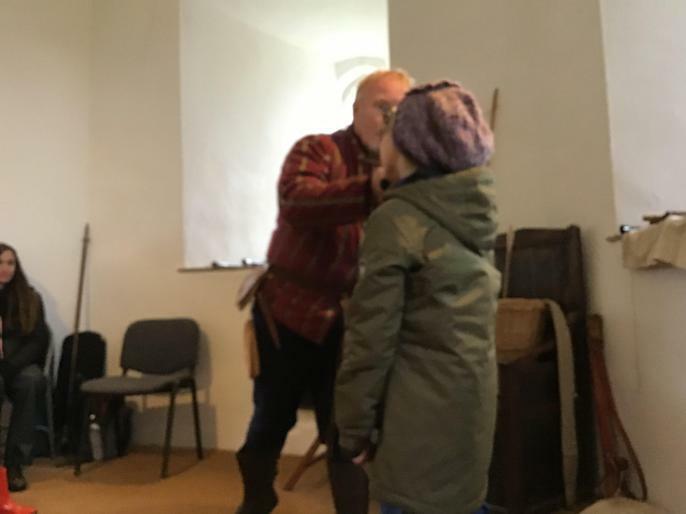 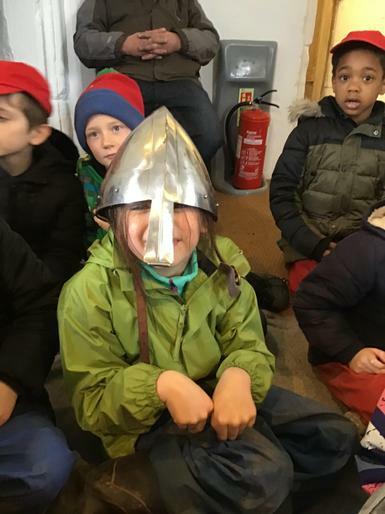 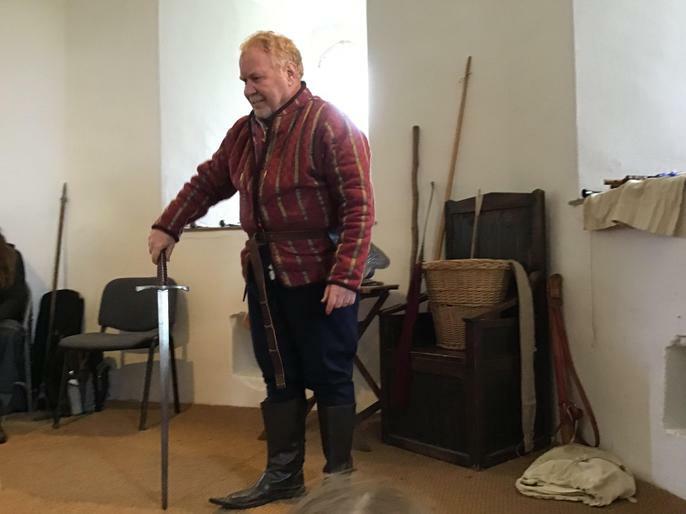 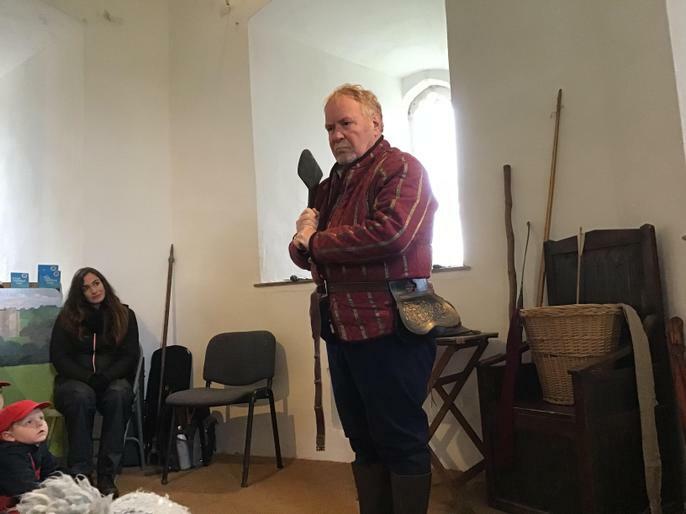 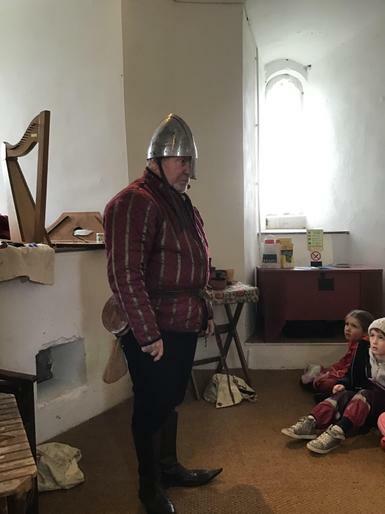 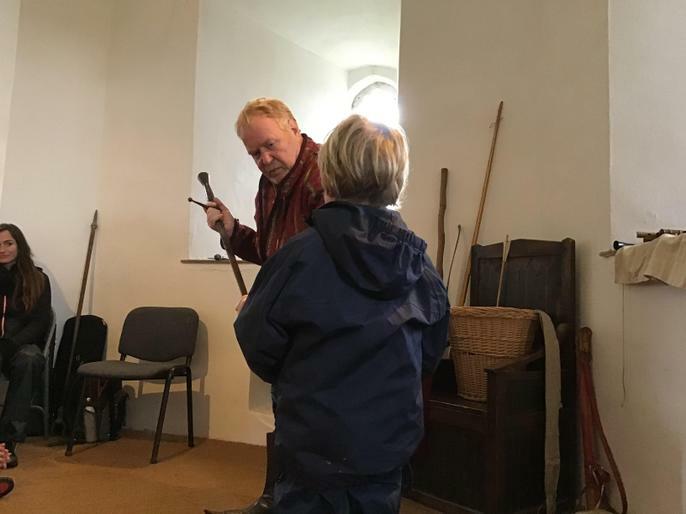 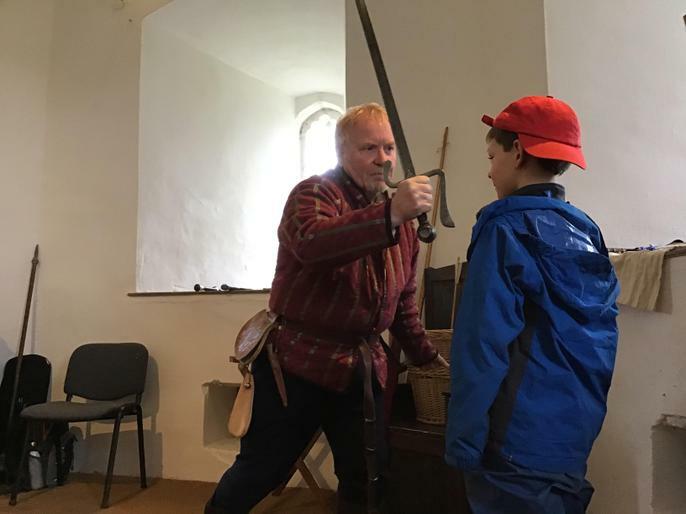 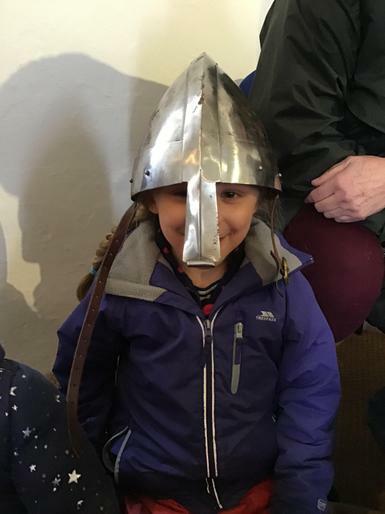 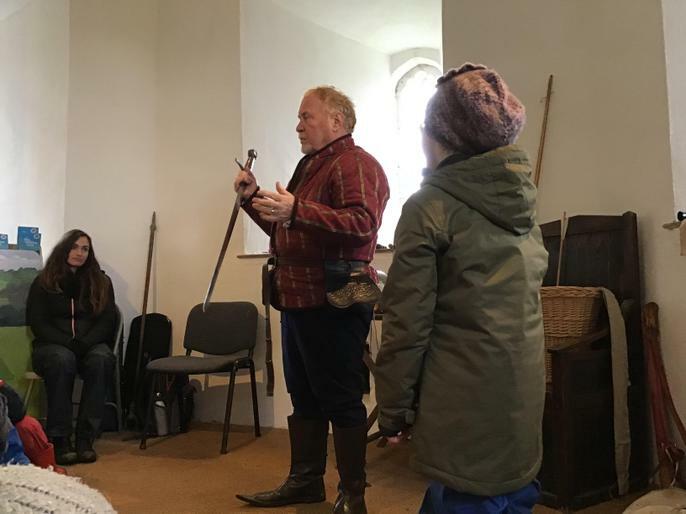 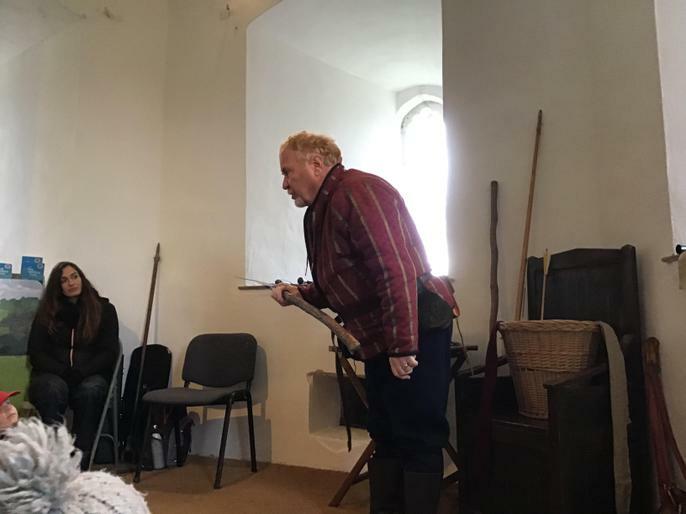 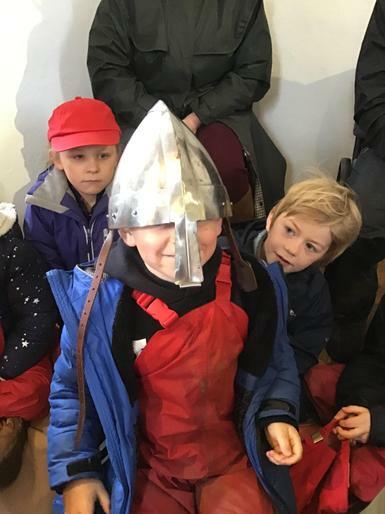 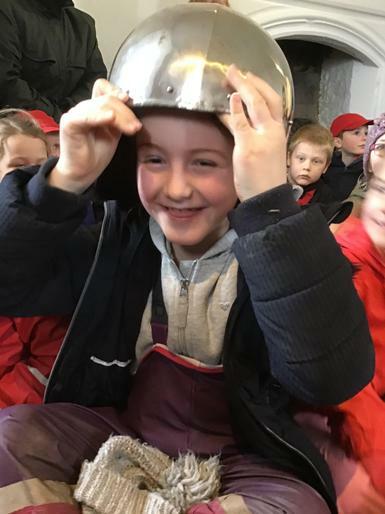 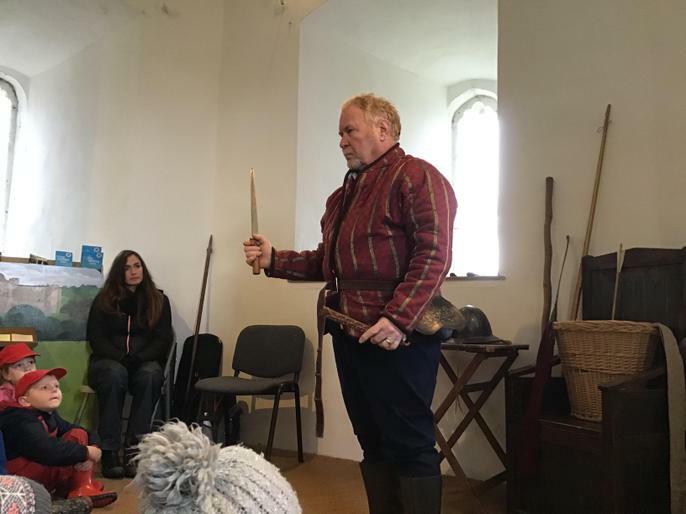 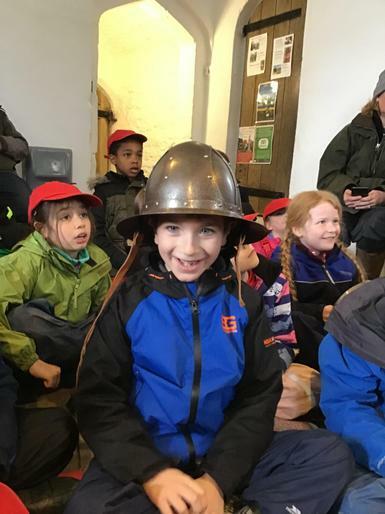 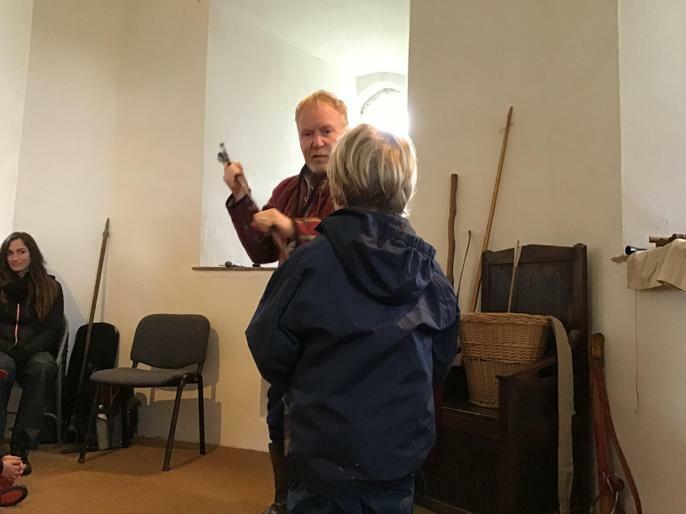 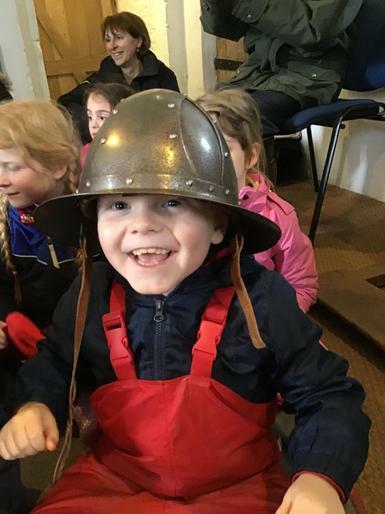 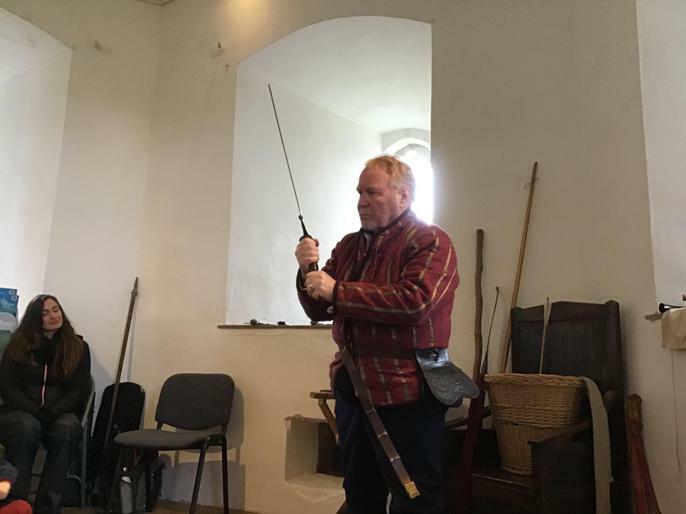 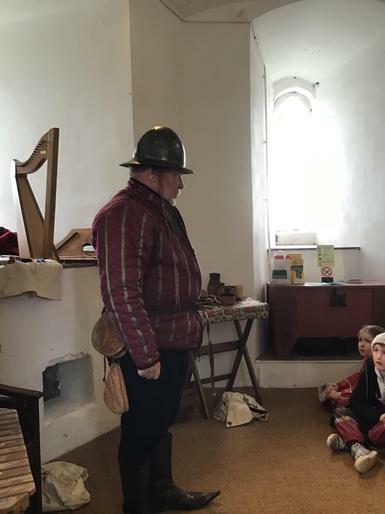 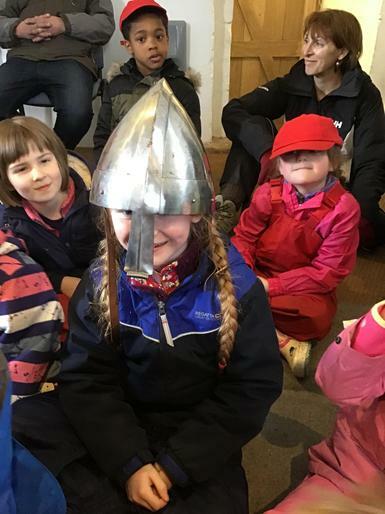 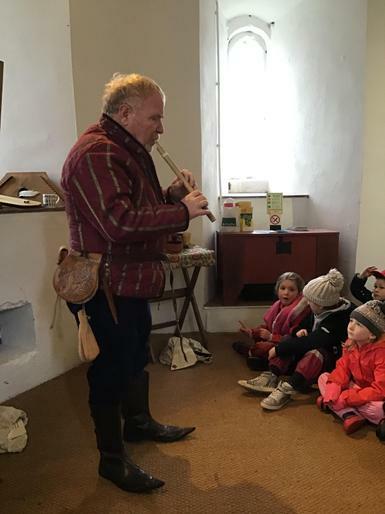 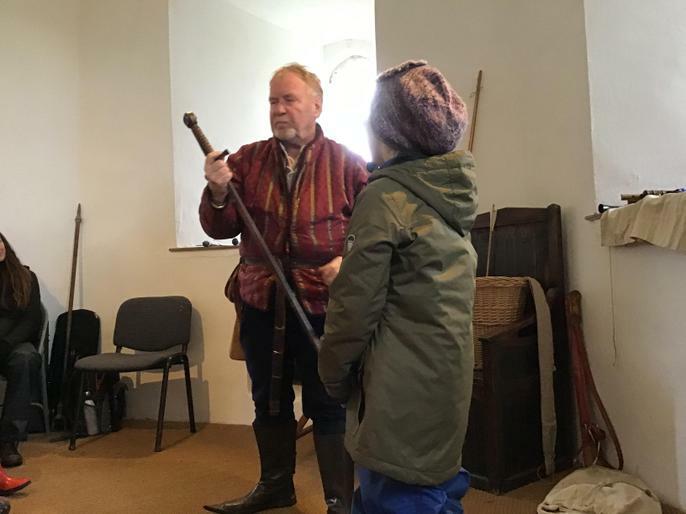 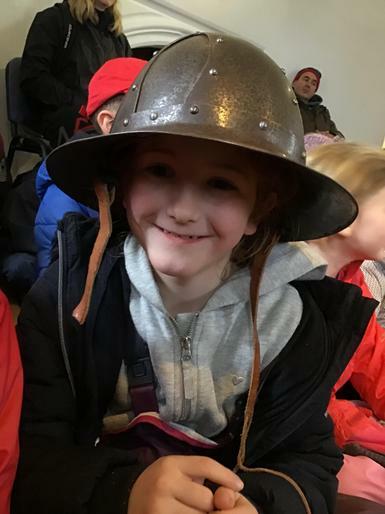 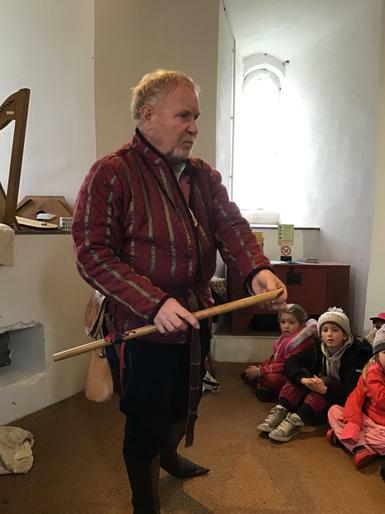 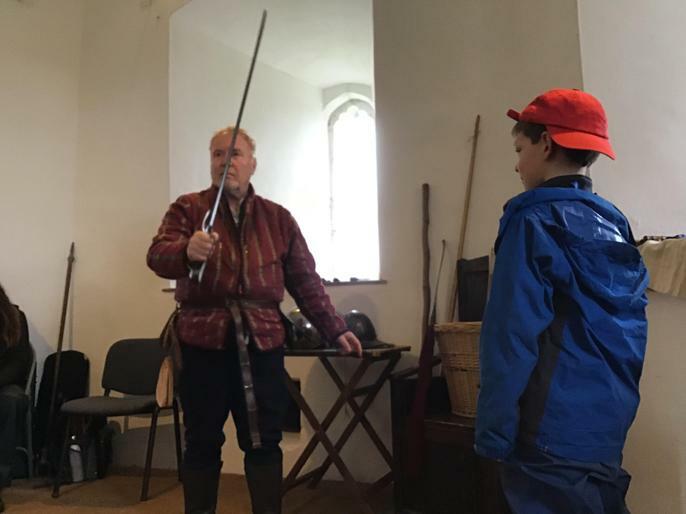 Then we met Minstrel Tom who wowed us with his medieval clothing, cutlery and crockery. 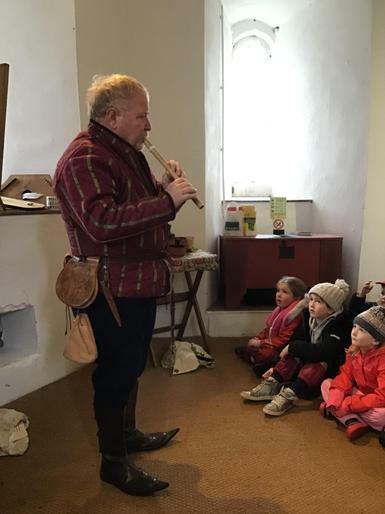 He then brought out a variety of instruments and played many different tunes. 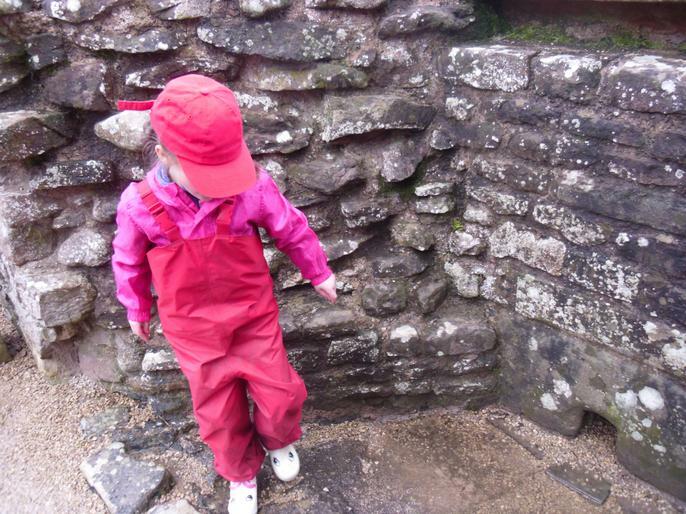 We were suitably impressed. 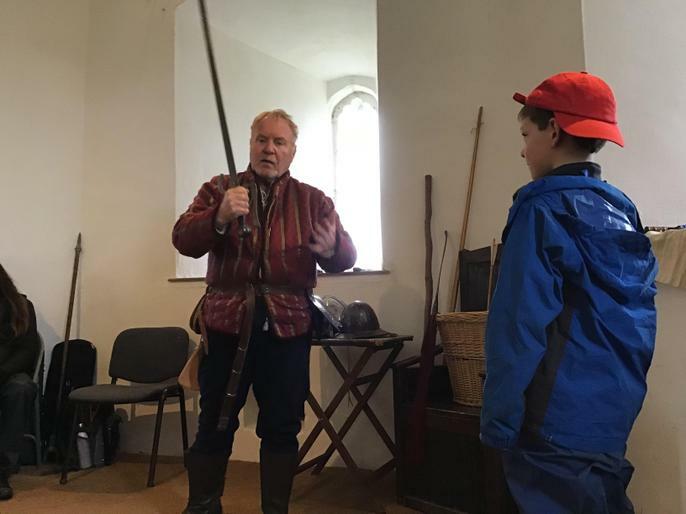 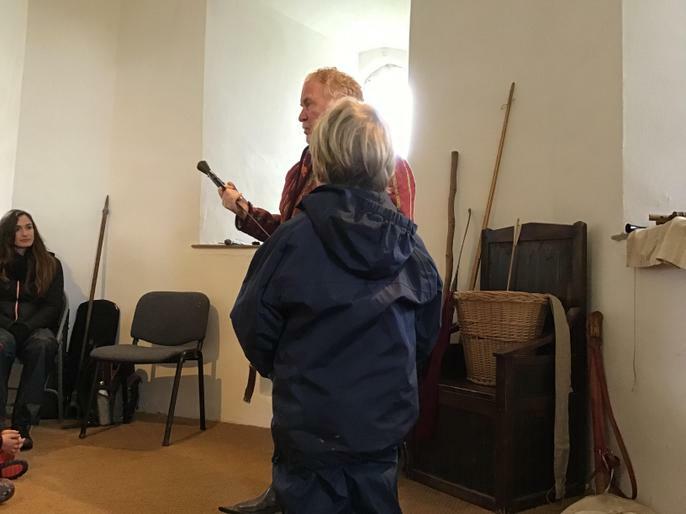 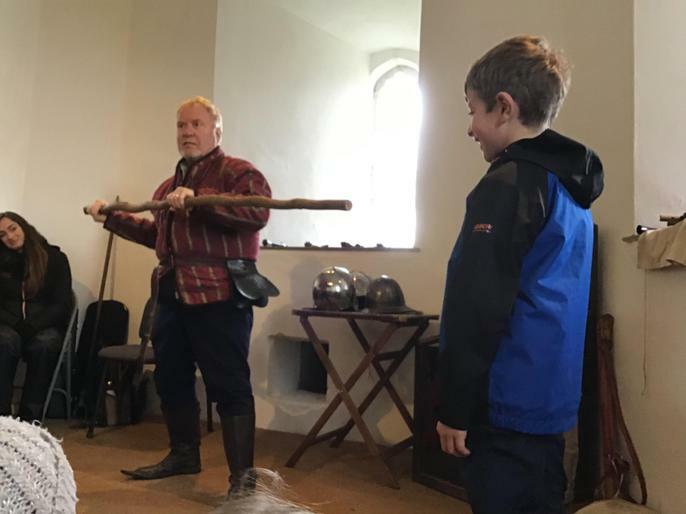 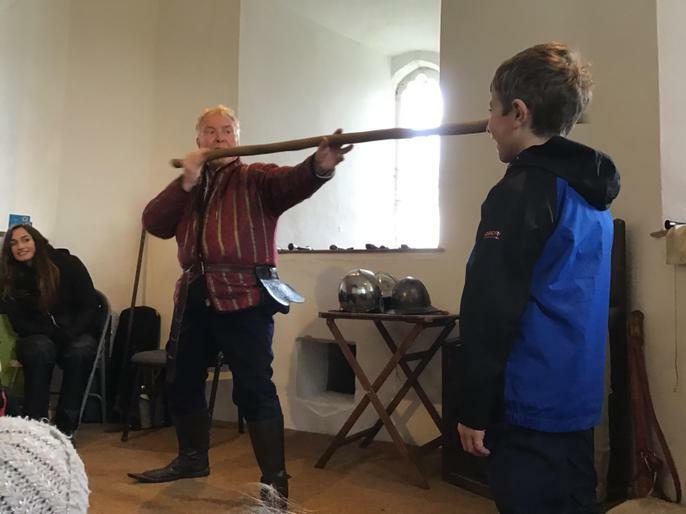 Afterwards, Tom showed us an assortment of weaponry which was fascinating. 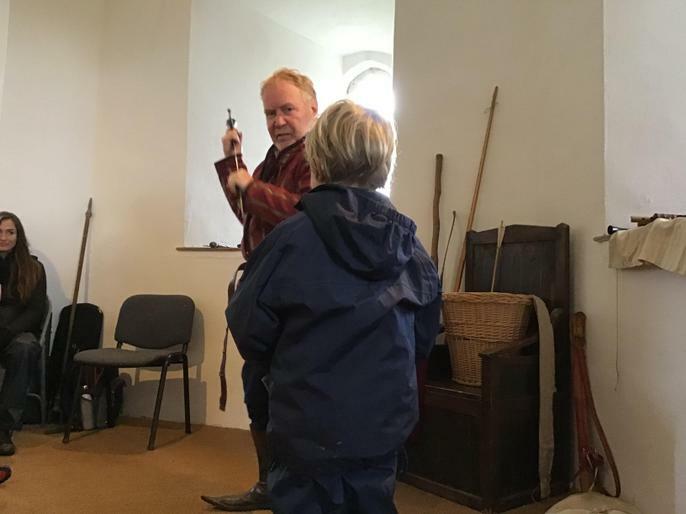 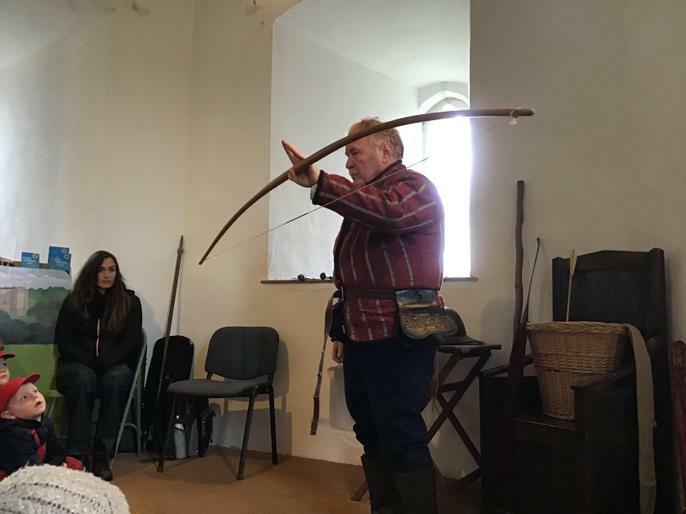 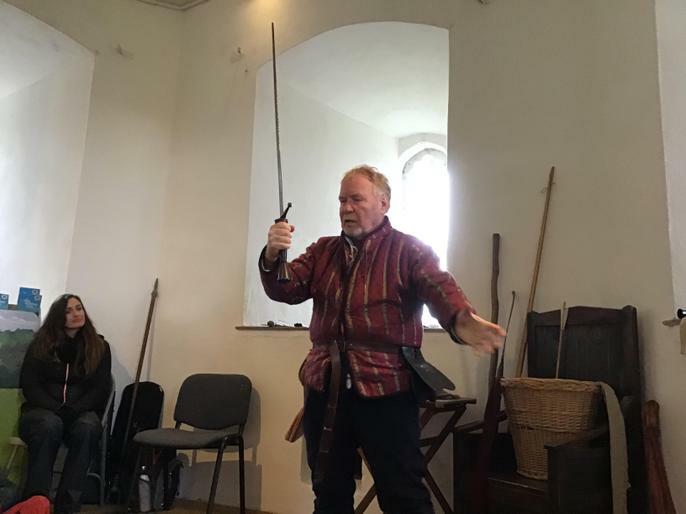 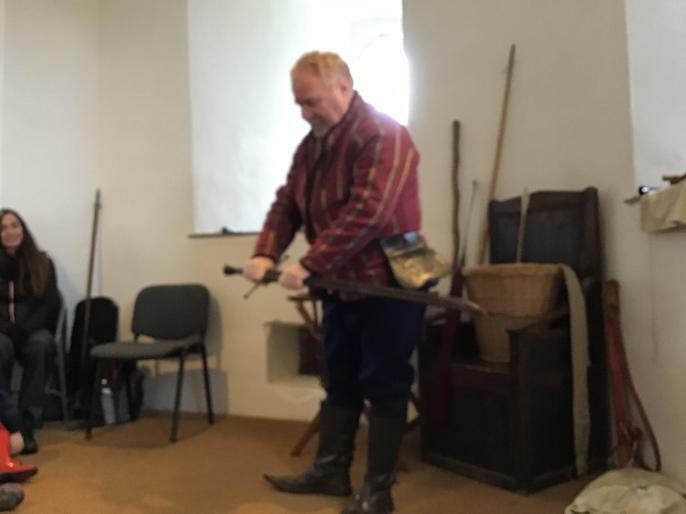 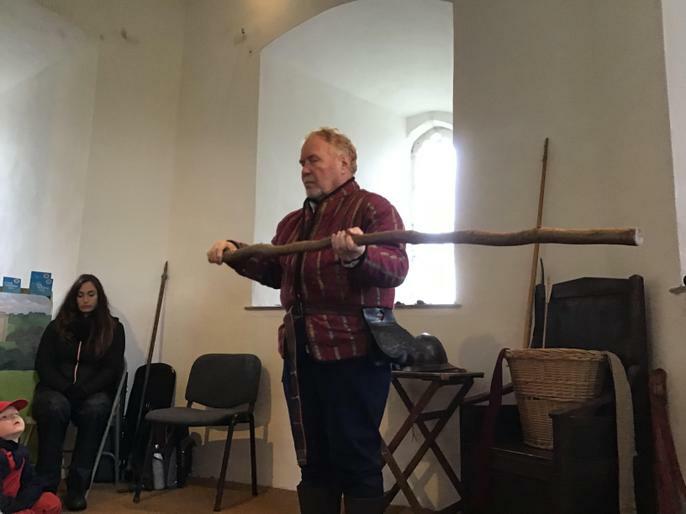 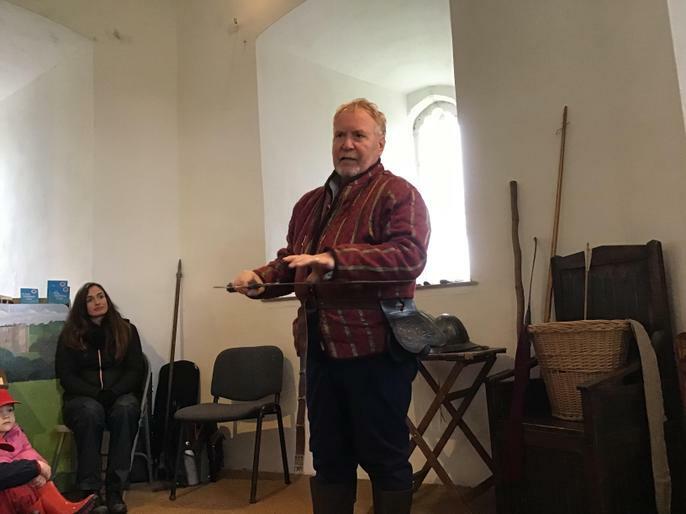 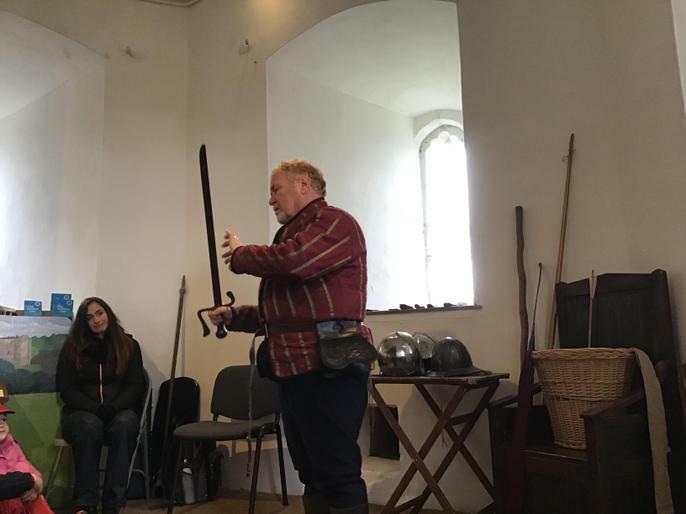 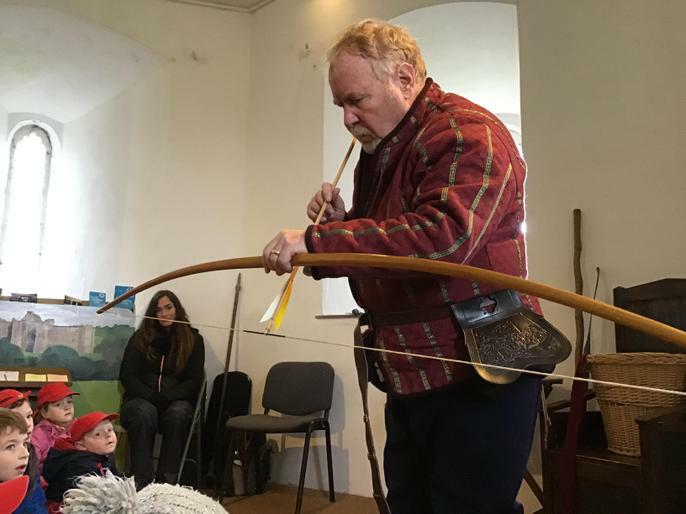 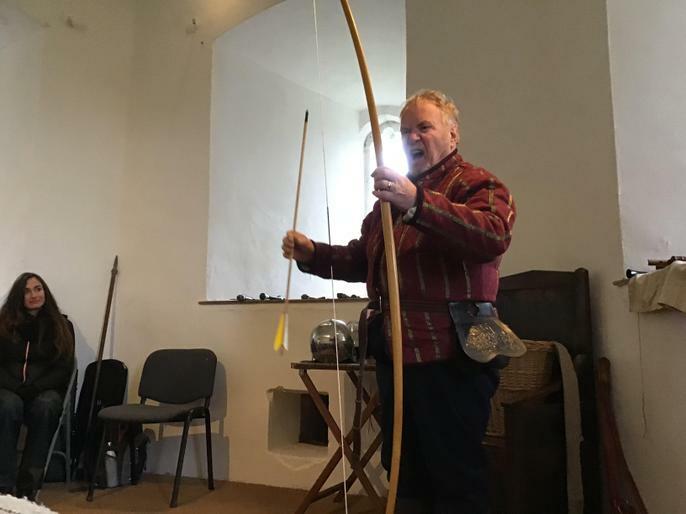 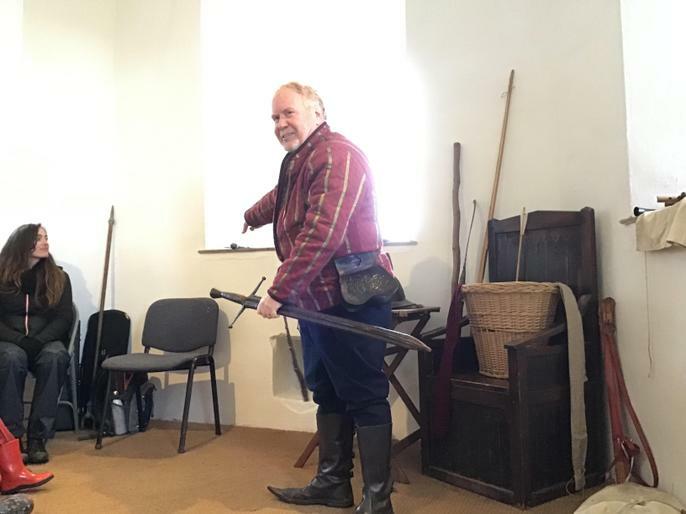 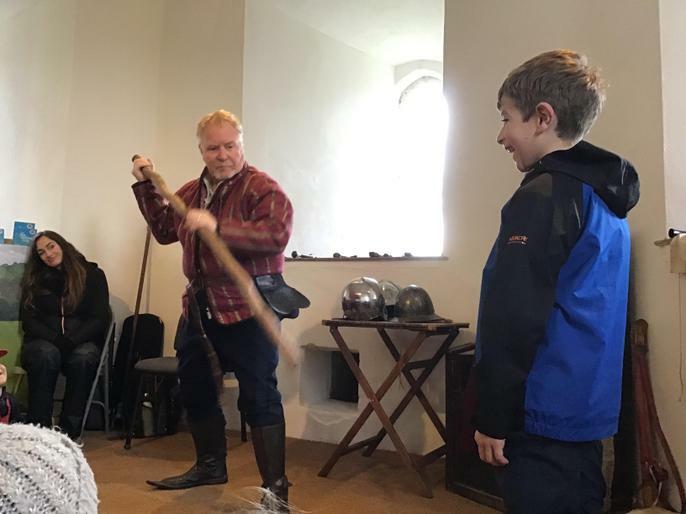 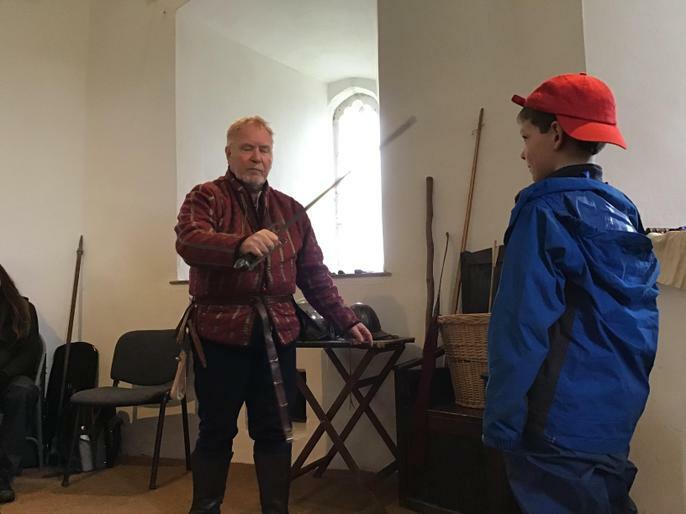 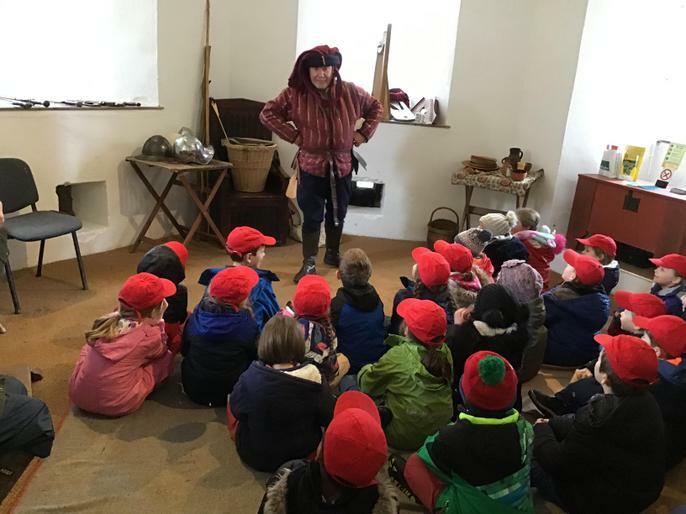 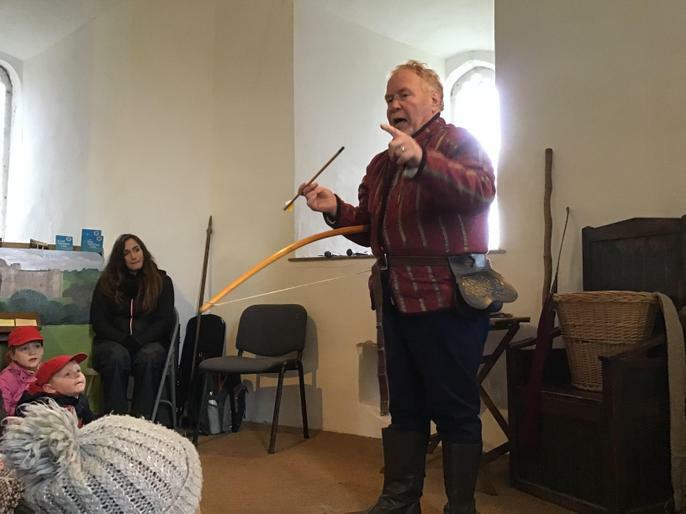 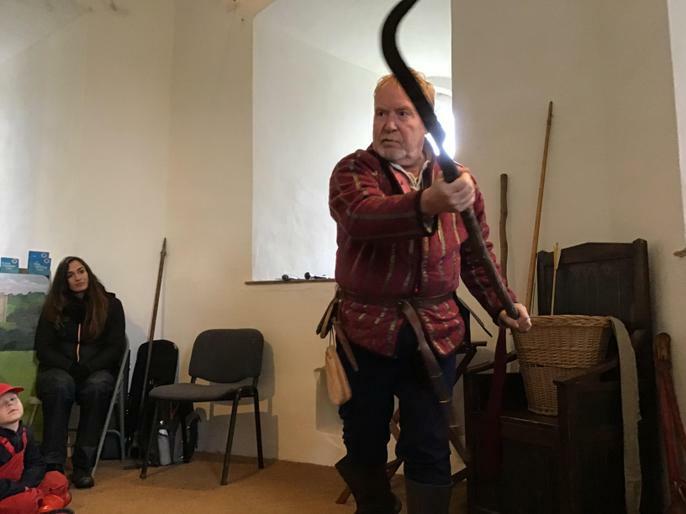 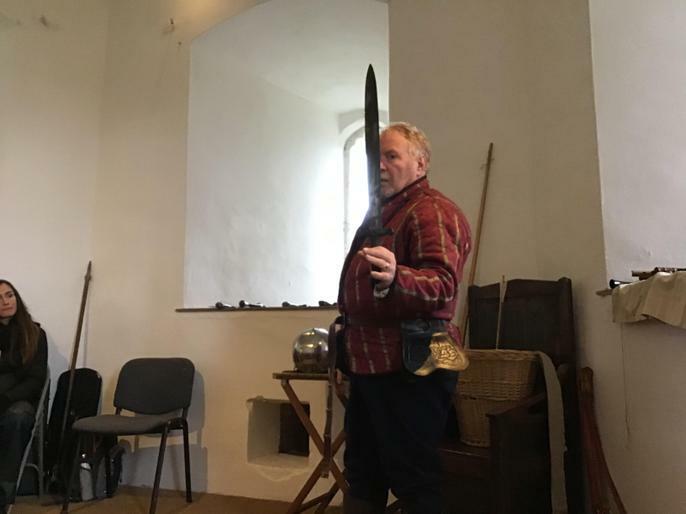 We saw bows and arrows, swords and daggers; we even got to hold some (they are all blunt)! 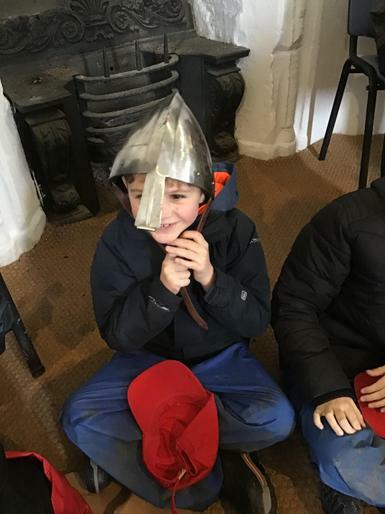 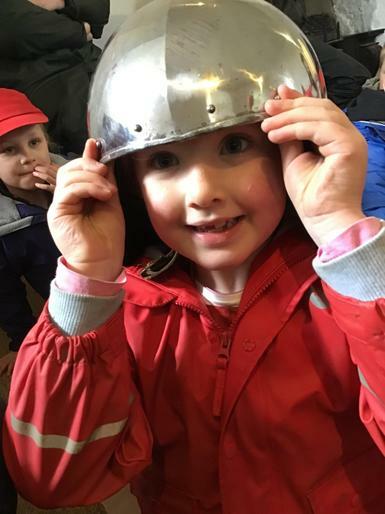 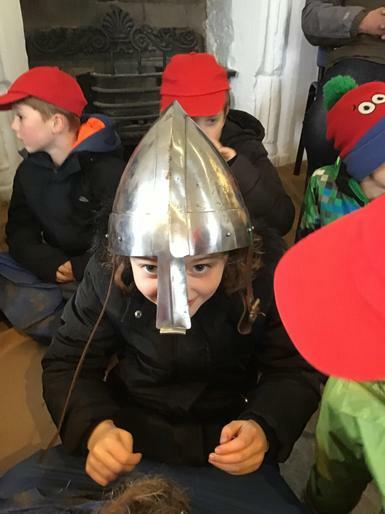 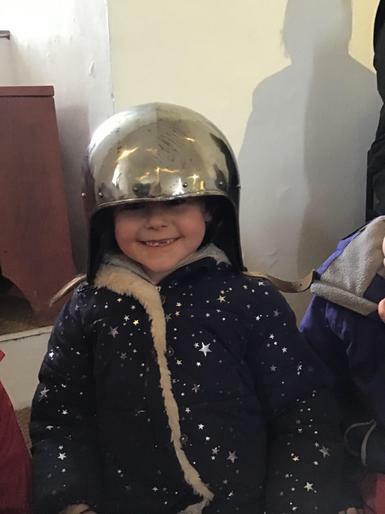 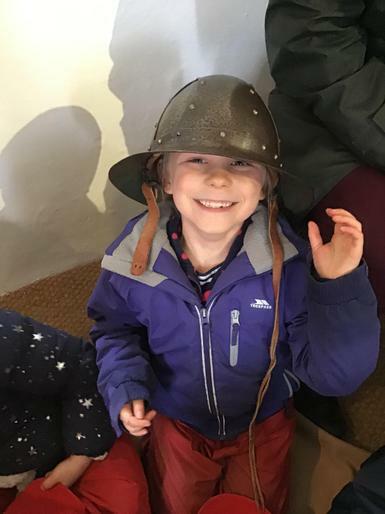 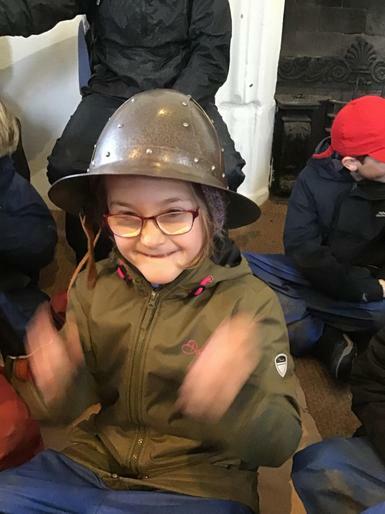 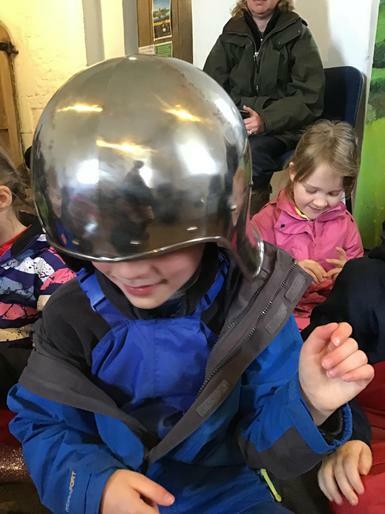 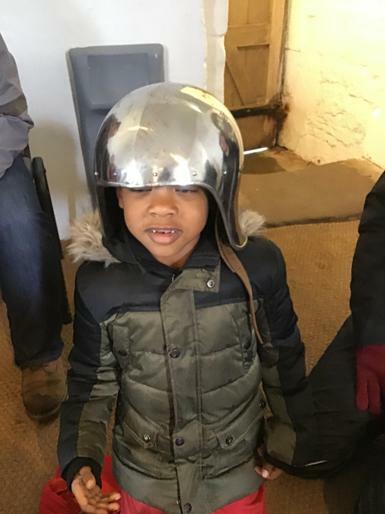 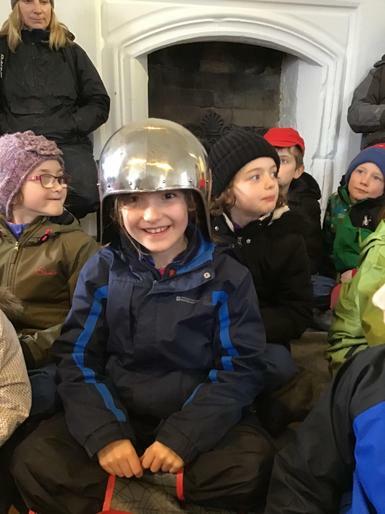 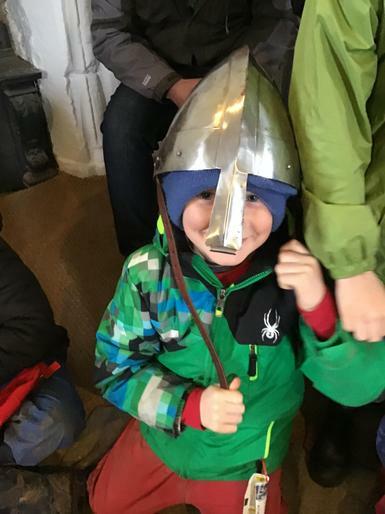 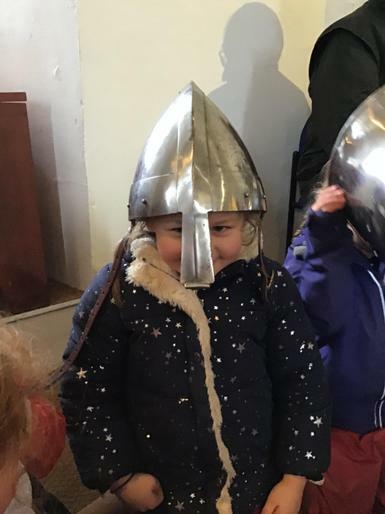 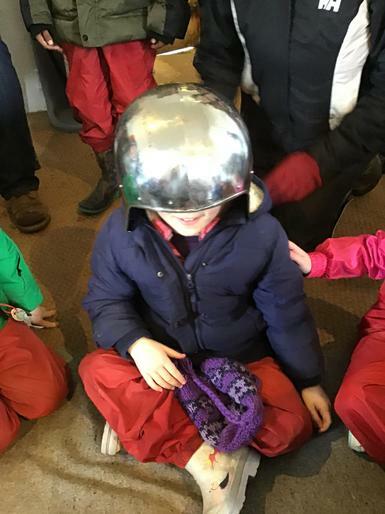 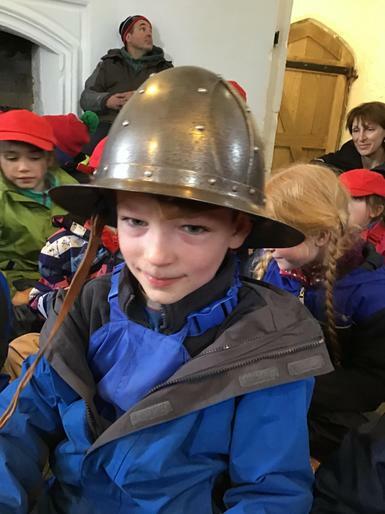 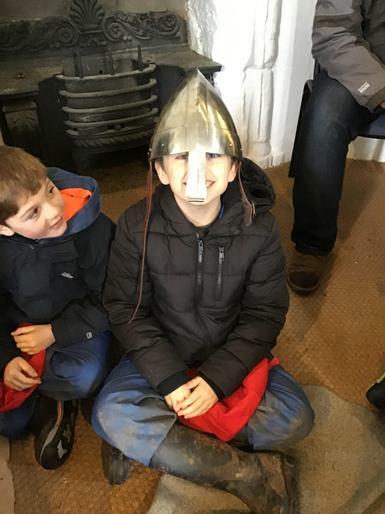 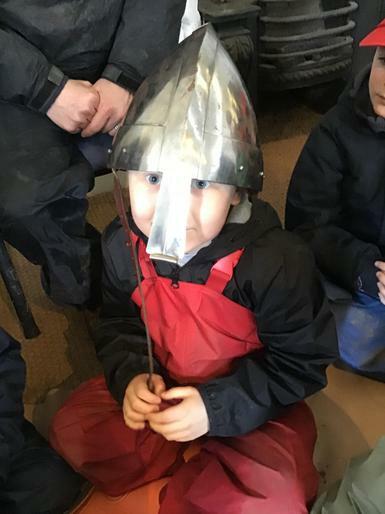 Tom had some armour including helmets which we were allowed to try on. 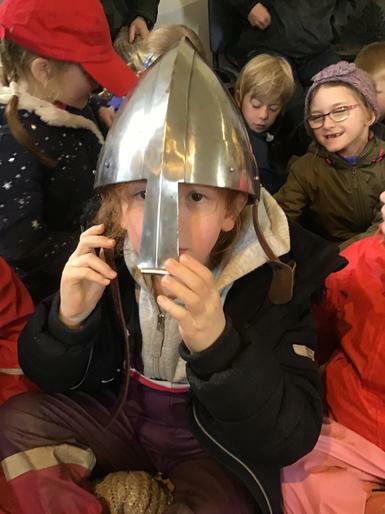 Such a fabulous day was had by all!